Bodega 1.0 has been released today by Freshcode. 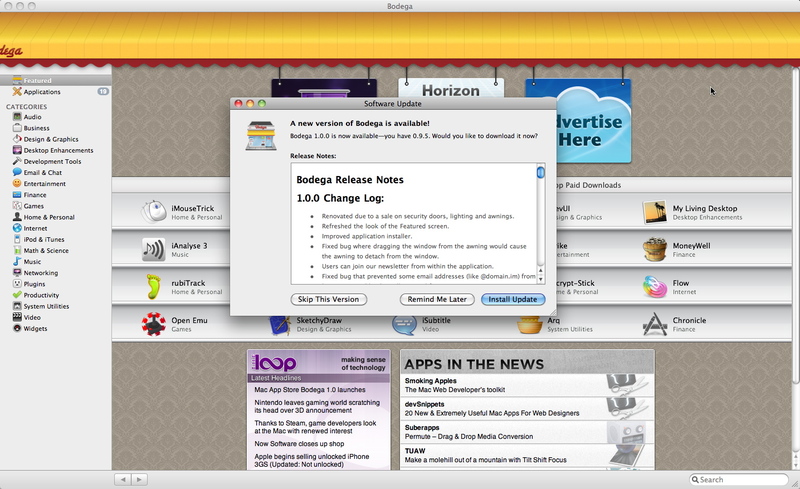 Bodega is an App Store dedicated for Mac OS X software. 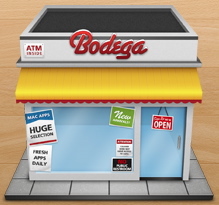 Bodega allows customers to browse, install, purchase and update Mac Software. Something similar to the iTunes App Store. Software is available in 20 different categories such as Audio, Email & Chat, Entertainment, Games, System Utilities and Widgets. Via: The Loop. Arabic version of this post by Abdulaziz here.